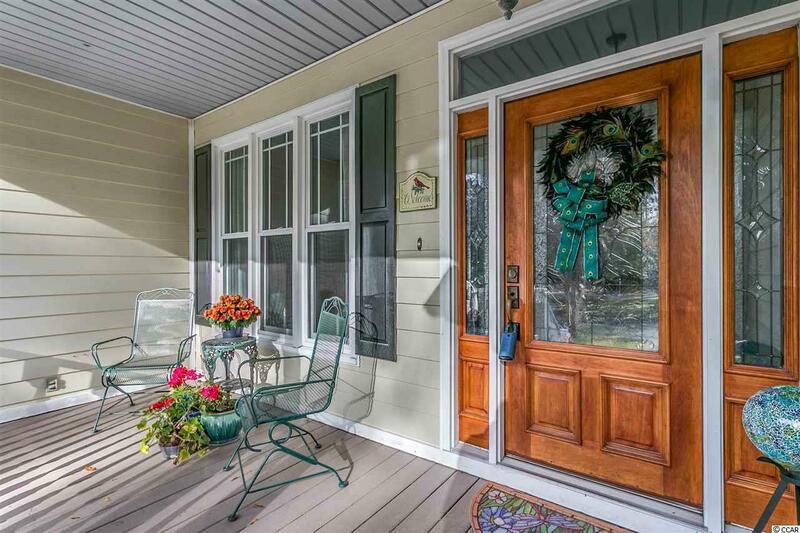 Pawleys Retreat is one of the most well maintained and mature communities in Pawleys Island. This is an all one level, split bedroom floor plan with 3 bedrooms, 2 bathrooms with an in-ground pool and is nestled within this beautiful community. 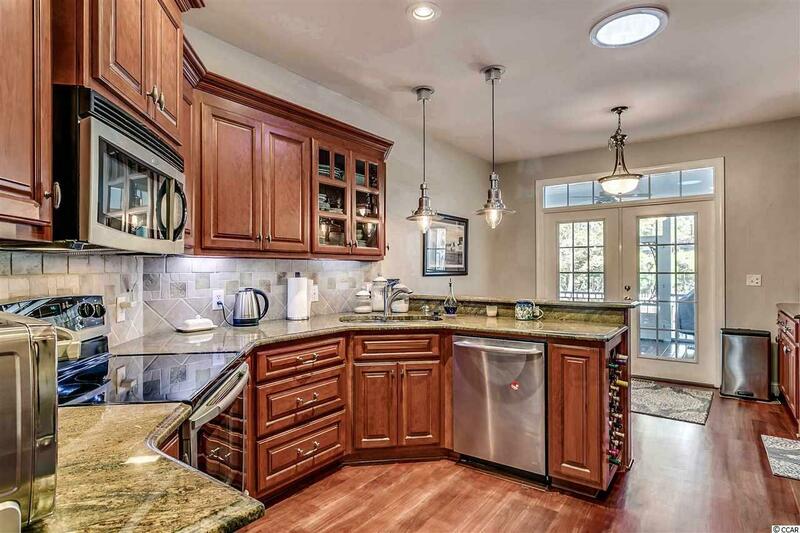 This property has so many high-end upgrades that you will have to see to believe! The roof was redone in 2009. The stunning mahogany front door compliments the front of the home and is striking when you first enter the home. The crawl space has been fully encapsulated. There is solid Brazilian Cherry flooring throughout the foyer, hall, living room, dining room, and kitchen. There is a staircase that has been finished to reach the upstairs that is perfect for storage or ready to be finished for additional living space. 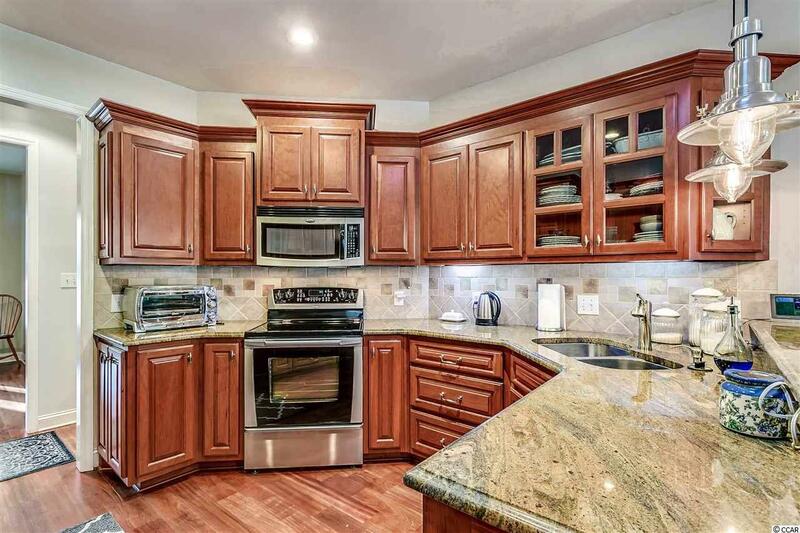 In the kitchen, you will find custom solid cherry cabinets with rollout pantry, spice shelf, granite countertops, and stainless steel appliances. The interior of the property has been freshly painted and the bedrooms have new carpet! Off of the kitchen, the current owners have added a 26'X16' screened-in porch with weather resistant decking that overlooks the LOW Maintenance, salt water in-ground pool. The master bathroom has recently been remodeled with granite countertops and a 4'X6' tiled shower trim-less doors and a built-in bench. There is also a Carolina room with a gas fireplace perfect for a relaxing evening. The entire home received new windows in 2018! The outdoor salt water pool was resurfaced in 2010. This area is complete with a 10'X14' pool house and an enclosed hot and cold shower! The garage is perfect for any tinkerers! It has work benches, overhead storage, cabinets, and a utility sink. You also have a utility room with outside entrance to hide any equipment. 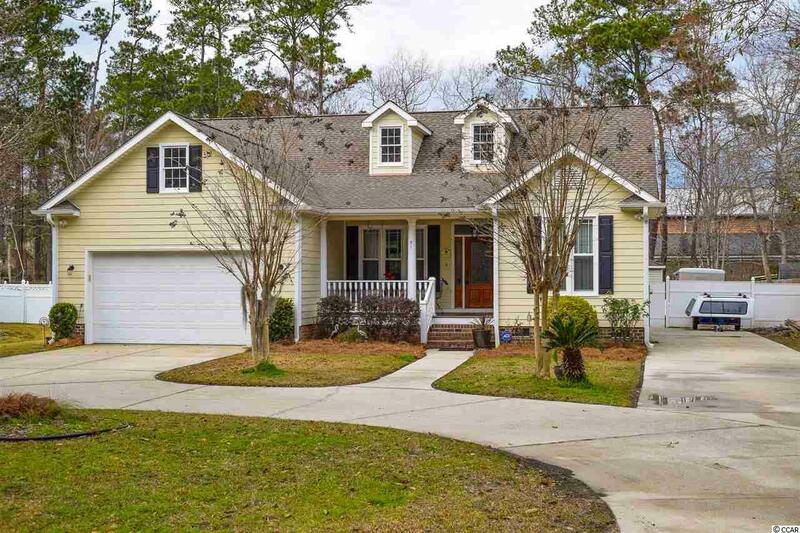 Pawleys Retreat Community is within walking distance to the Waccamaw High School and Waccamaw Elementary School. © 2019 Coastal Carolinas Association of REALTORS® MLS. All rights reserved. IDX information is provided exclusively for consumers' personal, non-commercial use and may not be used for any purpose other than to identify prospective properties consumers may be interested in purchasing. Information is deemed reliable but is not guaranteed accurate by the MLS or The Hoffman Group. Data last updated: 2019-04-23T13:20:27.553.